As PIMCO expands beyond fixed income, I thought it might be helpful to look at correlation of PIMCO mutual funds to the S&P 500. Unfortunately due to the large number of funds, I cannot use the chart.Correlation from PerformanceAnalytics. I think I have made a pretty correlation heatmap of PIMCO institutional share funds with inception prior to 5 years ago. Of course this eliminates many of the new strategies, but it is easy in the code to adjust the list. I added the Vanguard S&P 500 fund (VFINX) as a reference point. 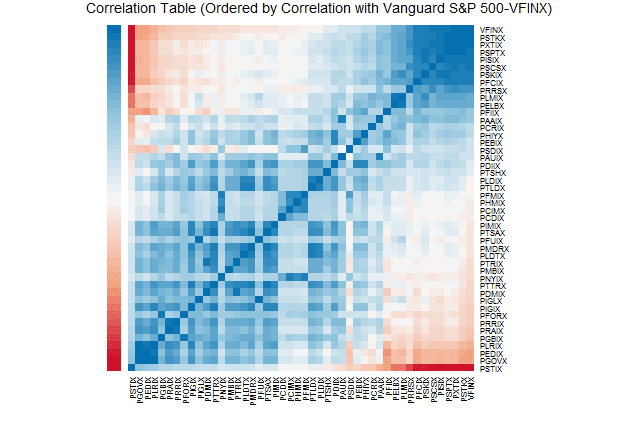 Then, I orderded the correlation heat map by correlation to VFINX. As expected there are two fairly distinct groups of funds: those (mostly fixed income) with negative/low correlation to the S&P 500 and those with strong positive correlation. 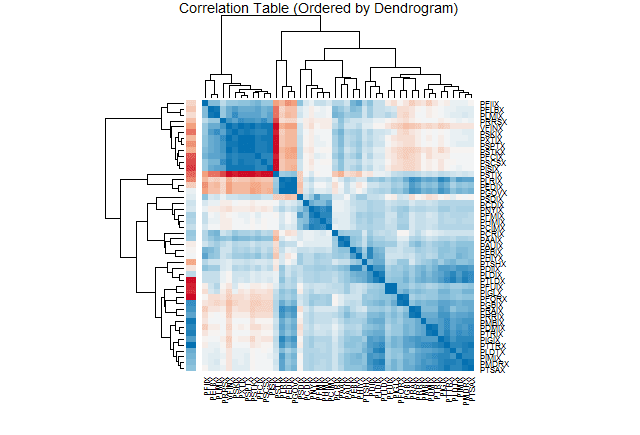 Here is the more standard heat map with dendrogram ordering, which has its purpose but gets a little busy. 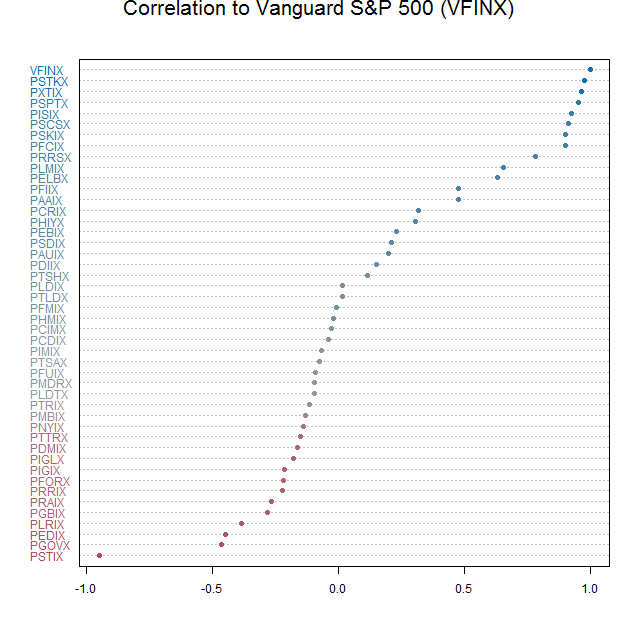 If we are only interested in the correlation to the S&P 500 (VFINX), then this might be more helpful. always an honor when the masters comment, thanks. Your comments address remnants of my discovery process. The get="all" is left over from stockPortfolio, and I do not use auto.assign in development, since I like to keep each symbol, so I do not hit Yahoo every time I mess up.